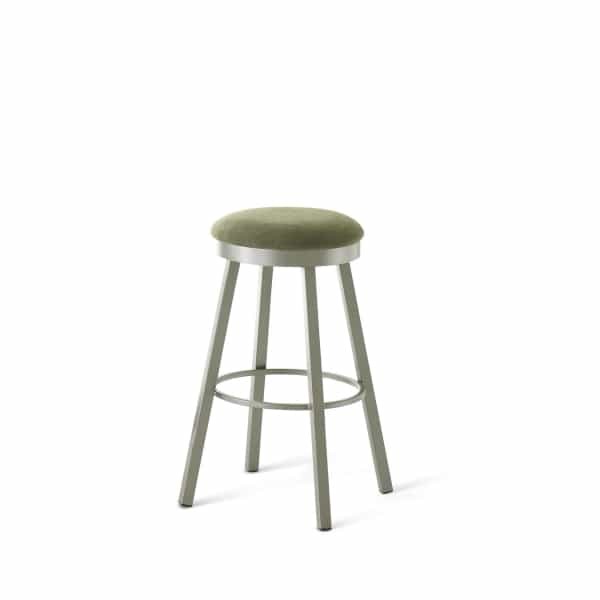 The Connor Counter Stool is a modern-inspired, minimalist design by Amisco. It is one of the most bare bones designs in their urban offering. It one of most space saving designs available, as it features only four legs and a seat. It pushes neatly under a tabletop and out of sight during periods of non-use. The Connor Counter Stool sits on a swivel for increased functionality in rooms that are abuzz with activity. The seat is topped with a plush cushion that is covered in fabric. A footrest that wraps around the entire seat base provides comfort and support to the person seated. The frame is made entirely out of steel. The steel is covered with a baked powder coating that protects it from surface scratches. Both the steel frame and cushion fabric are customizable by you, and Amisco offers a generous selection of both to choose from. Put on your interior designer hat and hit the swatches!